We are a criminal defense law firm that is committed to protecting the rights of their clients. Our lawyers are driven by ensuring that our legal system is working efficiently and fairly and they will fight tirelessly to make sure the government does not overstep its bounds in your case. Criminal defense involves special issues that are not present in other types of the law. Our attorneys are aware of those difficulties and pride themselves on their abilities to represent their clients while alleviating the stresses and fears that accompany criminal charges. We understand that every individual is innocent until proven guilty and we treat you in a manner that shows that understanding. Whether this is your first criminal offense or you have been through the legal process before our attorneys can help you in your current situation. With our understanding of Utah laws, and our familiarity with the courts and the prosecutors we can make sure you receive the best outcome available to you. 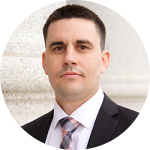 Jerry Salcido received is Juris Doctorate from Brigham Young University and has been practicing law for over 10 years. 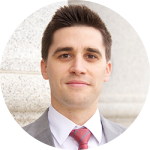 Jerry has represented hundreds of criminal law clients all over Utah. Jerry fights zealously to protect his clients rights in every case and is passionate about keeping the government in check. Chris Salcido is a graduate of the University of Utah S.J. Quinney College of Law and has been representing criminal clients for over 5 years. Chris is very connected with his clients and helps them understand all their options in their case. 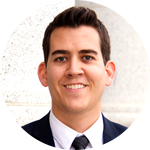 Spencer “Benny” Salcido is a graduate of Brigham Young University’s, J. Rueben Clark College of Law and is constantly in court serving his clients and helping them protect themselves in their criminal cases. 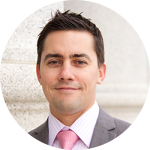 Todd Peterson received his JD from the University of Utah and has been with Salcido Law Firm for about three years. Todd is committed to helping criminal law clients understand the law and try and find a way to cope with the stress of facing criminal charges.